I didn’t sleep well and it looked cold outside so I almost decided to skip Blafjoll. But I didn’t have anything else planned, so one step at a time I worked my way there, thinking I could always turn back if it looked too miserable. It was snowing and cold when we arrived at Blafjoll, and I didn’t have proper cold weather gear, but I went ahead and rented skis and went skiing for the first time in over 25 years. I’m so glad I went. I had forgotten how much fun skiing is, and I had an amazing time. Blafjoll is just a 30 minute drive from Reykjavík, but once outside the city the landscape becomes otherworldly. Trees and all other vegetation soon disappear, and then there are just endless lava fields covered in snow. There are 16 ski slopes. I started out on one of the easier ones and slowly worked my way up to the scale of difficulty. Apparently skiing is like riding a bike in that it’s not something you forget how to do. In the afternoon the snow stopped and the sun broke through the clouds. 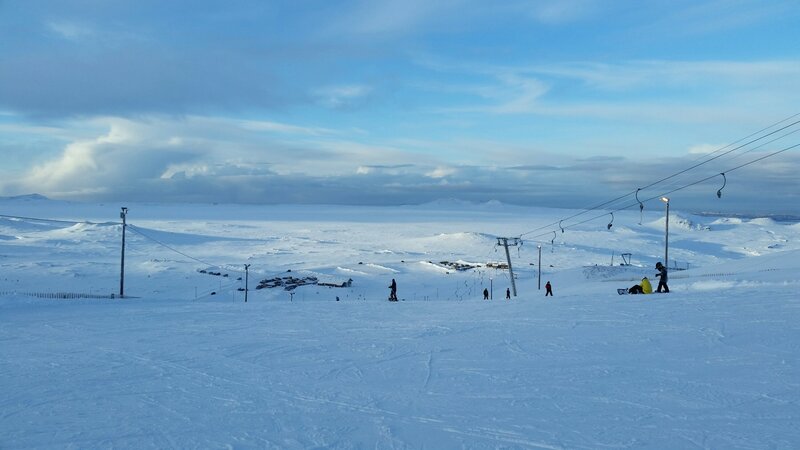 From the top of the ski slope, the snow covered lava fields ran into the shimmering sea in one direction, and in the other they merged with the clouds at the horizon. One of those rare moments of absolute peace, where the body is loose, the mind asks no questions, and the world is a triumph, was mine. 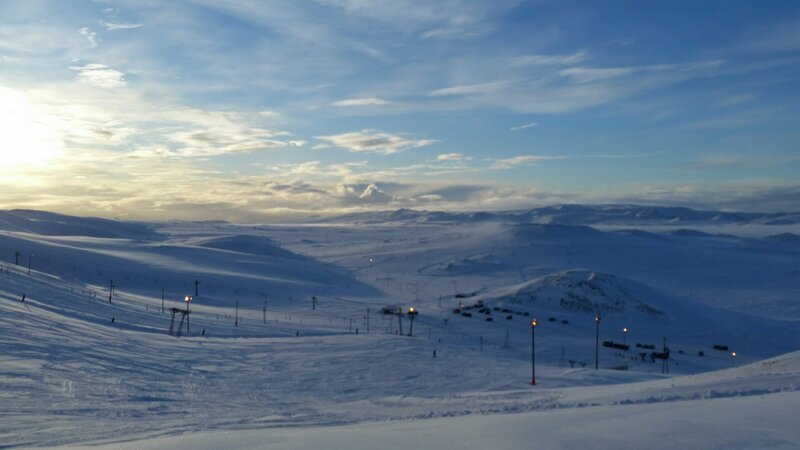 I was having such a great time skiing that before I realized it I had been skiing for four hours, and I was in danger of missing the bus back to Reykjavík. The day ended with more snow and thick fog – the weather in Iceland is fickle. I’m having a really nice time here. I’m doing things I haven’t done in a long time or have never done before. Sometimes change is good.